Lynn is fellow member and friend Rhonda's mother, and she has recently been diagnosed with breast cancer. Now she has to go through 7 weeks of radiation therapy. To cheer her mom through this difficult time Rhonda would like to give her a card a day. If you would like to help and spread some cheer and good wishes to Lynn, please visit Rhonda's blog and find out how you can do so. It's my favorite time of the year! The Marionberries are in season here in Oregon. they just happen to be not only my favorite caneberry, but my Etsy shop Marionberry Cottage is named after this yummy sweet juicy blackberry. 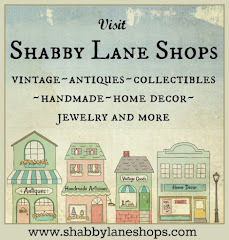 To celebrate I am offering 20% off everything in my shop, so please stop by and take a peek! Sale ends July 31. Make sure you mention you saw this in the blog so I can send you an adjusted invoice. Here is a little bit of trivia on this berry-- Oregon is where the marion blackberry was born--in fact, right here in Marion county where I live. 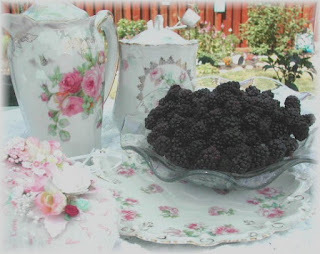 It is a cross of the Chehalem and Olallieberry blackberries to bring a big juicy berry perfect for pies and preserves.